3. What Is Exempt From New Jersey Income Taxes? New York borders New Jersey to the north, with New York City covering New Jersey's northeast border. Because of their proximity, it's fairly common for New Jersey residents to commute to New York City for work and vice versa. Unfortunately, both states are known for having some of the highest taxes in the country. If you live in New Jersey and commute to New York for work, or if you live in New York and commute to New Jersey, you may have to pay taxes to both states. Both New Jersey and New York assess state income taxes. If you live in one state and work in the other, you may have to pay income taxes to both state governments, although how much will depend on which is your state of residence and which is your state of employment. Both New York and New Jersey assess income taxes. New York City also has its own municipal income tax for individuals who live and work in the Big Apple; this is paid on top of the state income tax. Yonkers also assesses a separate municipal tax. There are no New Jersey cities that assess separate municipal income taxes. Both states tax using tax brackets, just like the federal government, although the brackets are different in New York than they are in New Jersey. This means the income is taxed in tiers and then accumulated. The first $8,500 in taxable income is taxed at 4 percent. Taxable income between $8,500 and $11,700 is taxed at 4.5 percent. Taxable income between $11,700 and $13,900 is taxed at 5.25 percent. Taxable income between $13,900 and $21,400 is taxed at 5.9 percent. Taxable income between $21,400 and $80,650 is taxed at 6.45 percent. Taxable income between $80,650 and $215,400 is taxed at 6.65 percent. Taxable income between $215,400 and $1,077,550 is taxed at 6.85 percent. Taxable income over $1,077,550 is taxed at 8.82 percent. For example, if you made $50,000 in New York, you would be taxed 4 percent on the first $8,500, which is $340; 4.5 percent on the next $3,200, which is $144; 5.25 percent of the next $2,200, which is $115.50; 5.9 percent of the next $7,500, which is $442.50; and 6.45 percent of the remaining $28,600, which is $1,844.70, for a total tax of $2,886.70. The first $20,000 in taxable income is taxed at 1.4 percent. Taxable income between $20,000 and $35,000 is taxed at 1.75 percent. Taxable income between $35,000 and $40,000 is taxed at 3.5 percent. Taxable income between $40,000 and $75,000 is taxed at 5.25 percent. Taxable income between $75,000 and $500,000 is taxed at 6.37 percent. Taxable income between $500,000 up to $5 million is taxed at 8.97 percent. Taxable income over $5 million is taxed at 10.75 percent. So if you make $50,000 and are paying taxes in New Jersey, you would be taxed 1.4 percent on the first $20,000, which is $280; 1.75 percent on the next $15,000, which is $262.50; 3.5 percent of the next $5,000, which is $175; and 5.25 percent of the remaining $10,000, which is $525, for a total tax of $1,242.50. Some states that assess income tax but that border multiple other states may enter into reciprocal taxation agreements with those states. This means that individuals who live in one state but work in another only have to pay income taxes to the state in which they live. For example, New Jersey has reciprocity with Pennsylvania, which shares a large portion of New Jersey's border. Individuals who live in Pennsylvania but work in New Jersey do not have to pay New Jersey income tax, because they pay income tax in Pennsylvania (although if a New Jersey resident works in Philadelphia, he still has to pay the Philadelphia municipal income tax). However, not every state has entered into a reciprocal agreement, and New York is one of those states that hasn't. If you live in New Jersey but work in New York, you will have to file income tax returns and pay income taxes in both states because New York does not have a reciprocal tax agreement with New Jersey. However, the State of New Jersey will allow you to apply for a credit against your New Jersey income tax for any taxes you pay to another state including New York. So if you live in New Jersey but work in New York, you must file both a New Jersey tax return and a New York tax return and pay the taxes owed, but New Jersey will reduce your taxes by any amounts paid to New York. So if you pay $2,886.70 in income taxes to New York and also owe $1,242.50 to New Jersey, New Jersey will reduce your tax to zero by deducting the New York tax paid as a nonrefundable credit (you can't get a credit of more than you paid). Because there is no reciprocal agreement between New Jersey and New York, if you work in New Jersey but live in New York, you'll have to file returns in both states, just as when the reverse is true. However, as a non-resident filing a New Jersey return, you can instead file a Form NJ-1040NR, which is a non-resident return. You must file this return if you're a nonresident and you made gross income from any source of more than $10,000 for single filers or $20,000 for married couples filing jointly. You will have to pay New Jersey income tax on top of your New York income tax. Fortunately, like New Jersey, New York offers a credit to its residents who work out of state for taxes paid to its state of employment. If you live in New York but work in New Jersey, you'll get a credit in New York against your New Jersey income taxes for that job. This is also a nonrefundable credit. So if you pay $1,242.50 to New Jersey for taxes but live in New York, and you owe New York $2,886.70 on that income, New York will reduce your New York tax by $1,242.50 and leave you with a reduced bill of $1,644.20. 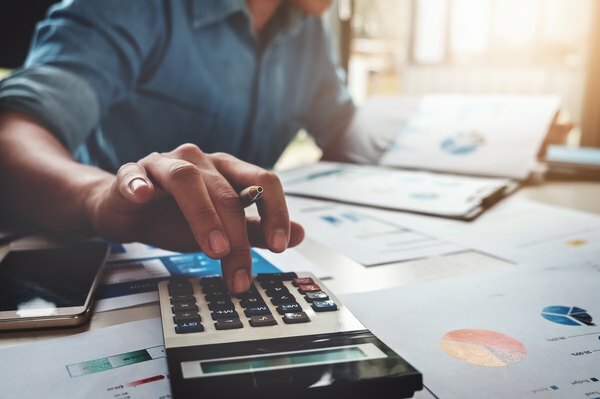 If you live in New York and work in New Jersey or vice versa, you'll need to find a certified public accountant who understands how the credits work and who can help prepare either return. Not all accountants are licensed in both states, but New York and New Jersey both allow CPA mobility. This means that a CPA licensed in New Jersey can prepare New York tax returns, and a New York CPA can prepare New Jersey tax returns, without obtaining additional licensure.